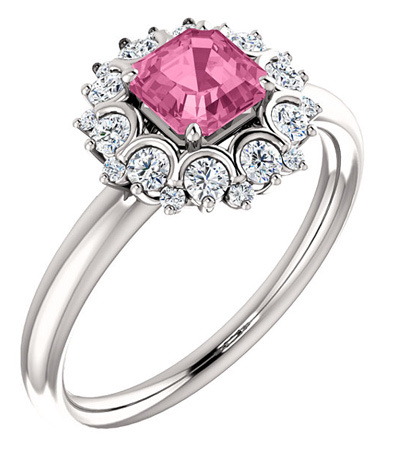 An Asscher-cut pink sapphire gemstone cluster ring set in 14k white gold with high quality, white diamonds. 10 diamonds flank the pink sapphire gem followed by another row of 10 smaller diamonds for a total of 0.30 carats of G-H Color, SI Clarity diamonds. Also available in yellow gold, rose gold, 18k gold, or platinum (by request). A unique stone and a striking cut combine to create a ring that won't soon be forgotten. 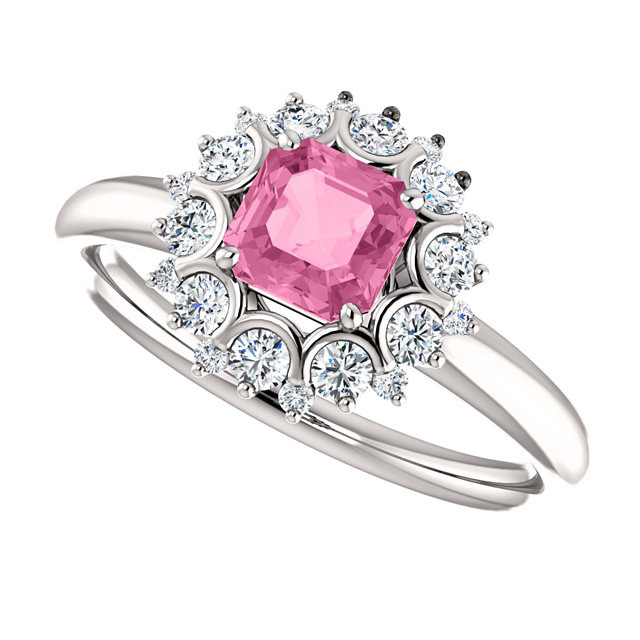 The center stone of this piece is an Asscher-cut pink sapphire, and the cut of this gorgeous gem is designed to draw the eye in and to give off incredible sparkle. 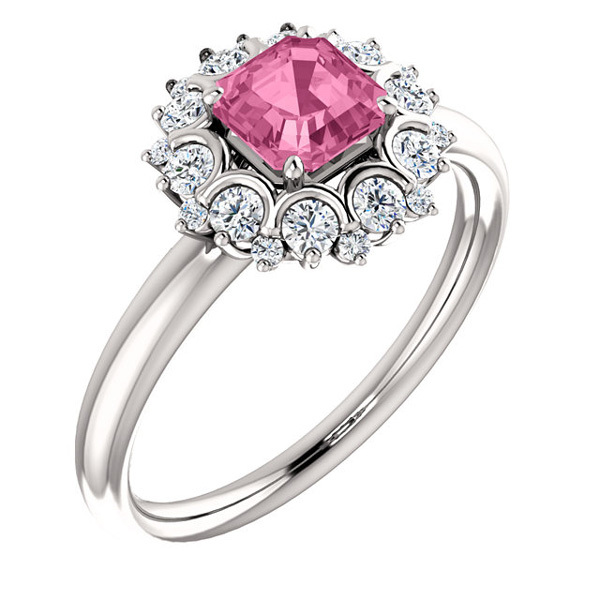 This brilliant pink gem is surrounded with 10 round diamonds that encircle it like the petals of an exotic flower. 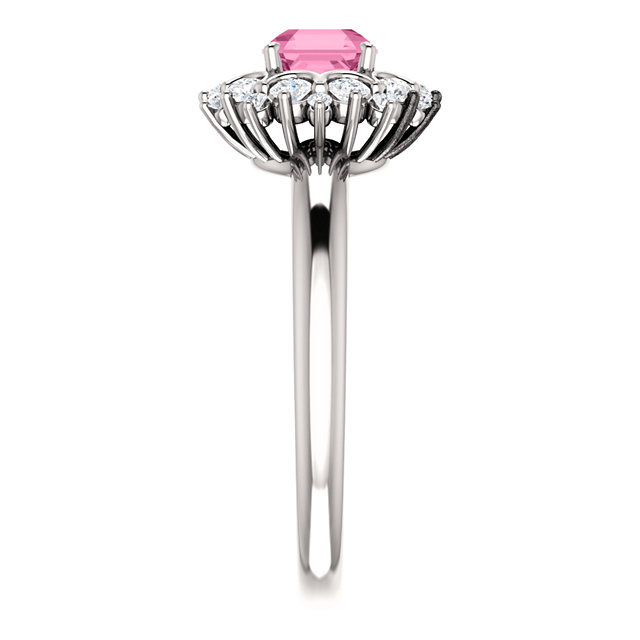 Cool, gleaming 14K white gold provides the perfect foundation for this exquisite ring. 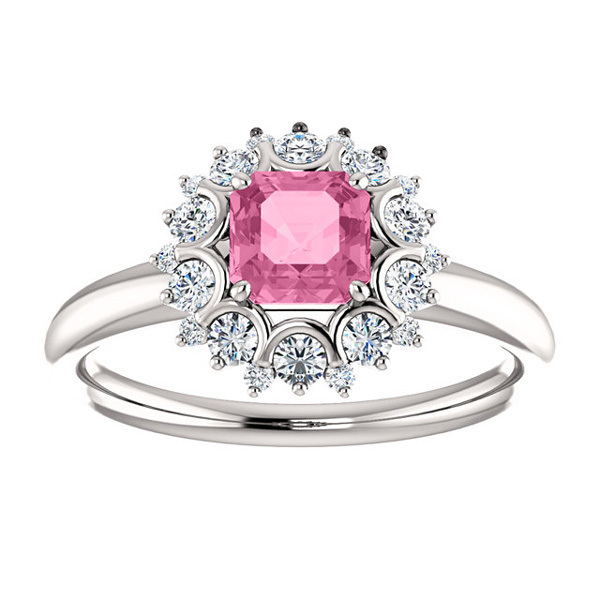 We guarantee our Asscher-Cut Pink Sapphire and Diamond Cluster Ring to be high quality, authentic jewelry, as described above.